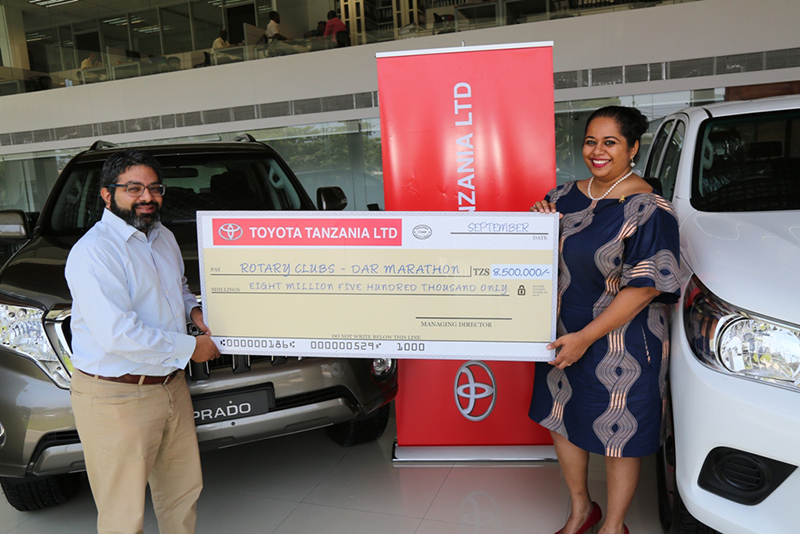 Toyota Tanzania Ltd executive director Yusuf Karimjee (L) hands over a dummy cheque for 8.5m/- to Rotary Dar Marathon Chair Catherinerose Barretto in Dar es Salaam yesterday. 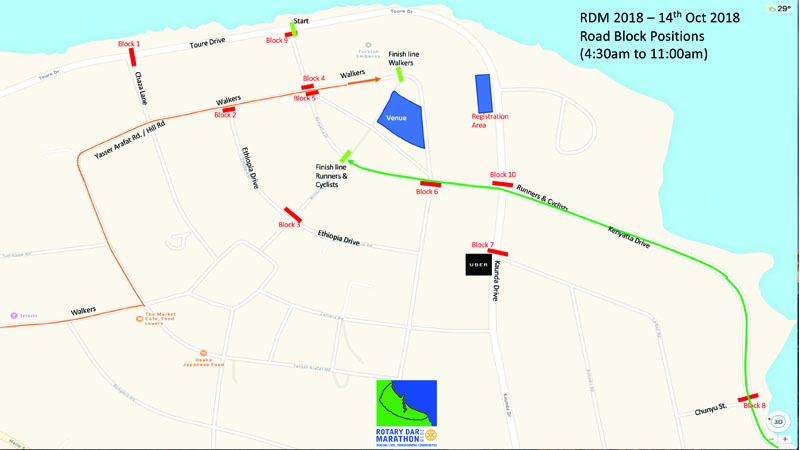 The money will be used to help CCBRT provide quality health services for the disadvantaged. 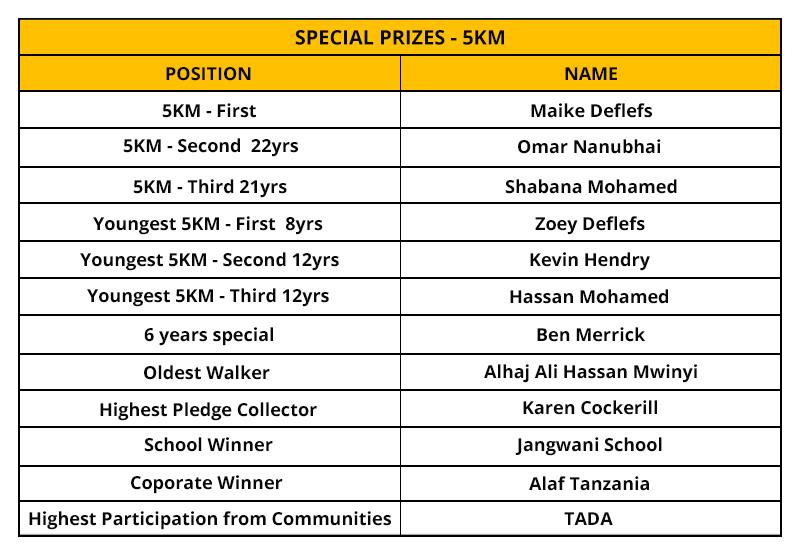 Seven Rotary Clubs of Dar es Salaam in partnership with Bank M have officially launched the 9th edition Rotary Dar Marathon (RDM) event. 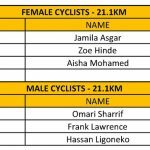 The annual athletic fundraising event will take place on Nyerere Day 14th of October at the Green grounds in Dar es Salaam. 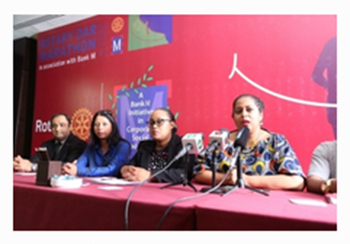 “We are happy to launch and sign the MOU with Bank M as our Main Partner. 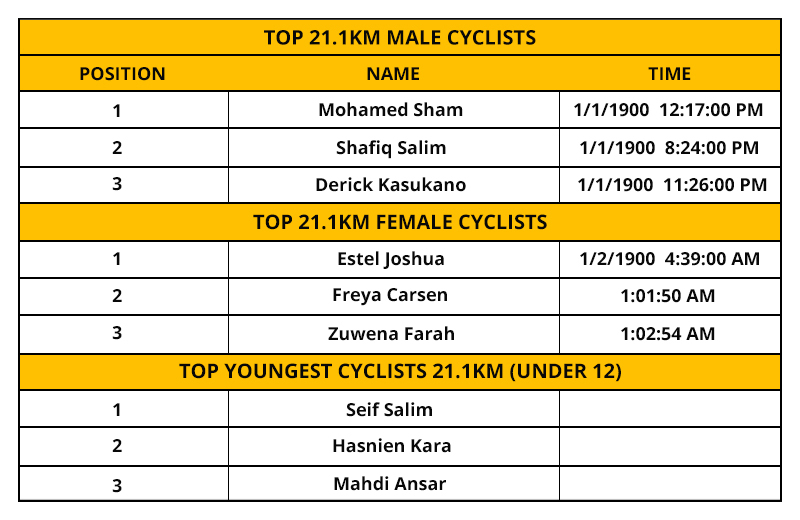 I am even more excited to announce new activities planned for our participants this year. 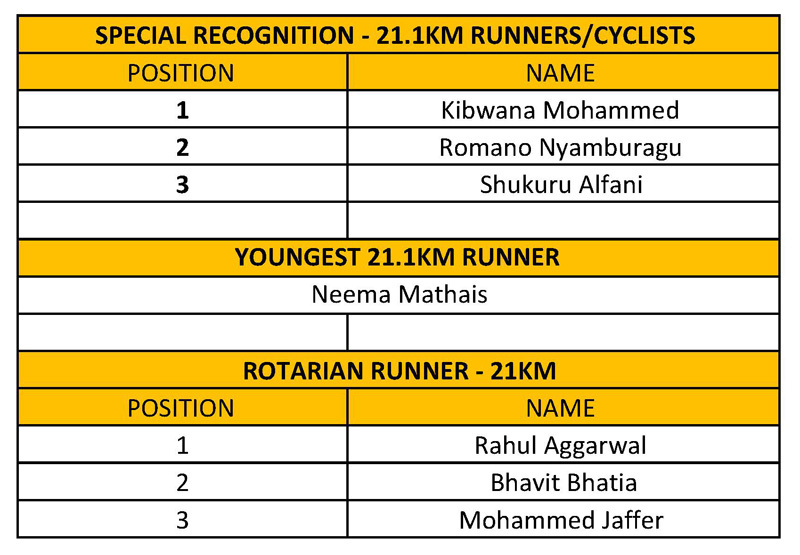 For the first time ever we are going to have a full marathon of 42.2 kms at this year’s event. 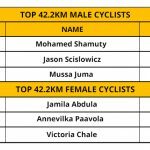 We are also increasing the distance for cyclists from 21.1 kms to 42.2 kms. 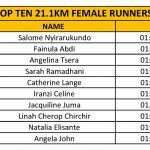 The 9kms walk will increase by 1 km to 10 kms and only the 5km walk remains the same, “ the Rotary Dar Marathon 2017 Chairperson Catherinerose Barretto said. 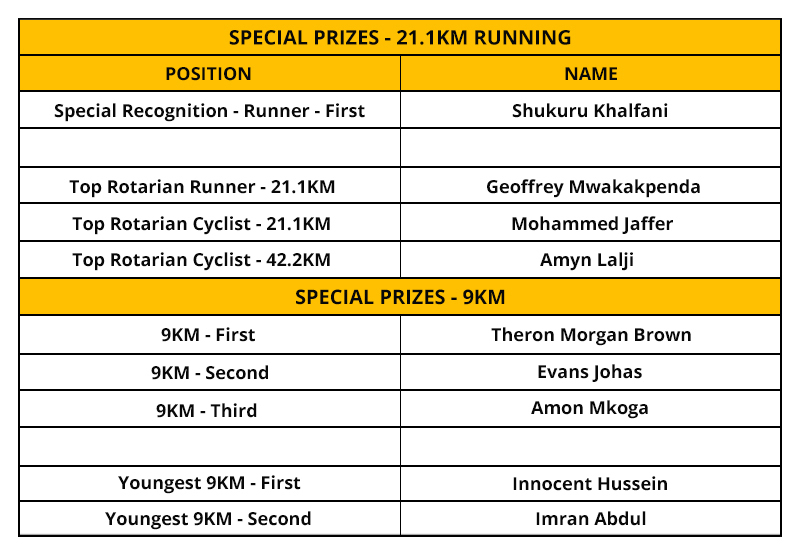 The Rotary Dar Marathon event besides focusing on the primary goal of raising funds to support various causes to improve the quality of life in our communities is also geared towards creating the best experience for participants during the event. 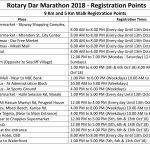 Each year Rotary Dar Marathon takes steps to ensure the event is well executed so that all participants who are professional athletes and the amateurs enjoy the experience and can use it as a standard for their athletic accomplishments. “Each year we aim to produce a better event and include more exciting activities for our participants. 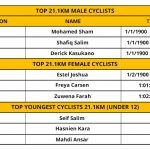 Two years ago we introduced cycling and an automated system to record time for the athletes running the half marathon and cyclists. 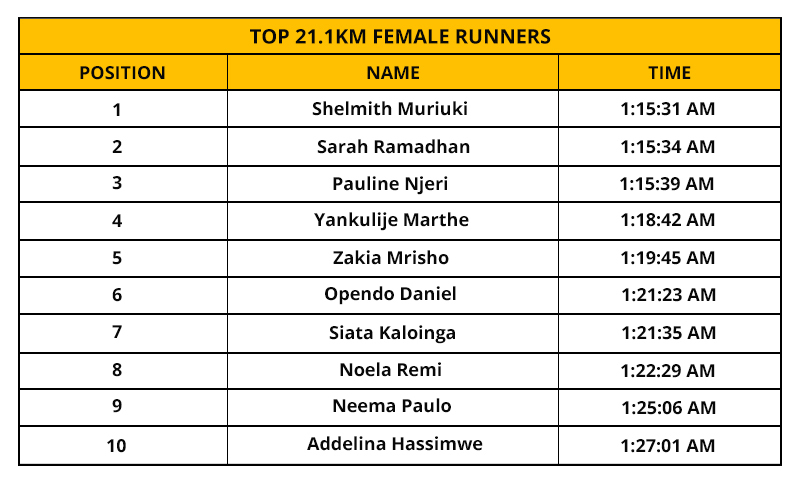 This year we have embarked on a full marathon and we would like to assure our supporters that we are working diligently to ensure we minimize all inconveniences before and during the event. 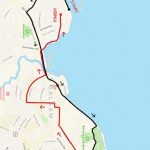 We will continue to share updates on all changes that we will be making as the team continues finalizing plans for this year,” continued Baretto. 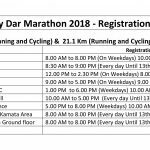 This year, Rotary Dar Marathon is raising funds to support the Comprehensive Community Based Rehabilitation (CCBRT) social enterprise project which aims to expand revenues to be able to support subsidized care in the Disability Hospital by constructing a larger clinic. 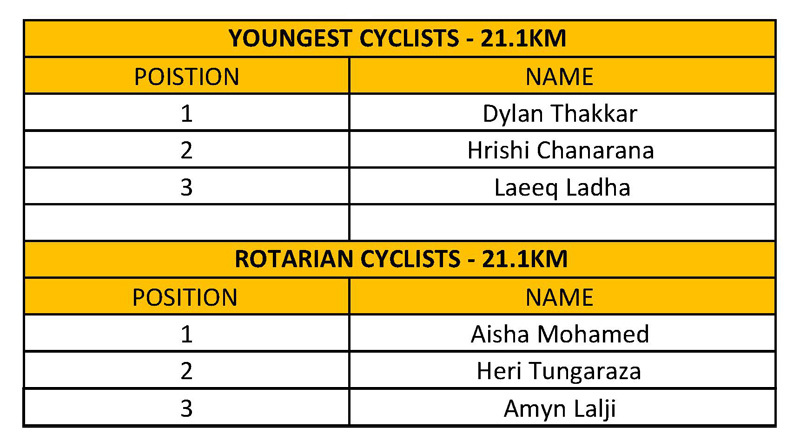 All funds amassed by the Rotary Dar Marathon activities will be used to complete construction of this clinic and also support the equipping and outfitting of the facility. 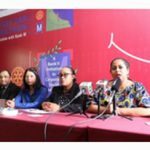 Bank M’s CEO Jacqueline Woiso commented that Bank M is committed to support the community based projects and has been able to achieve this through working together with Rotary since the introduction of the Marathon in 2009. 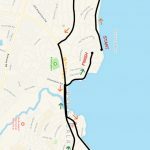 “We have been insisting that it is our policy to work together with other reputable organizations in making a difference to the needy communities of this land. We sincerely believe that together we will eventually make this a great success by building the healthcare facility at CCBRT which will service a larger part of the local community, we believe that investing in human health is a direct support to life improvement hence the economic growth in general,” she said. 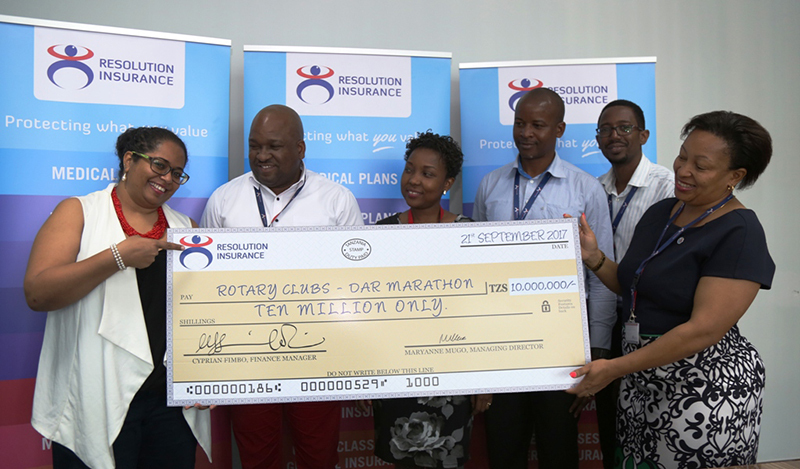 Since 2009, Rotary Dar Marathon has raised over Tshs 3 billion, which has implemented various projects in Dar es Salaam, including a tree planting initiative, provision of clean drinking water for schools, building of a state of the art oncology paediatric ward at Muhimbili hospital, created a fully equipped and modern entrepreneurship center for the University of Dar es Salaam Business school. 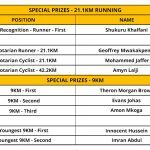 Klabu saba za Rotary za Dar es salaam kwa kushirikiana na Benki M jana zimezindua mbio na matembezi ya Rotary Dar Marathon ambapo kwa mwaka huu yanafanyika kwa mara ya tisa mfululizo toka kuanzishwa kwake. 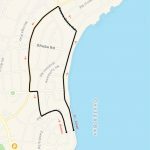 Matembezi hayo yanayofanyika kila mwaka yatafanyika siku ya kumbukumbu ya kifo cha mwalimu Nyerere katika viwanja vya greens, Oystebay jijini Dar es salaam. 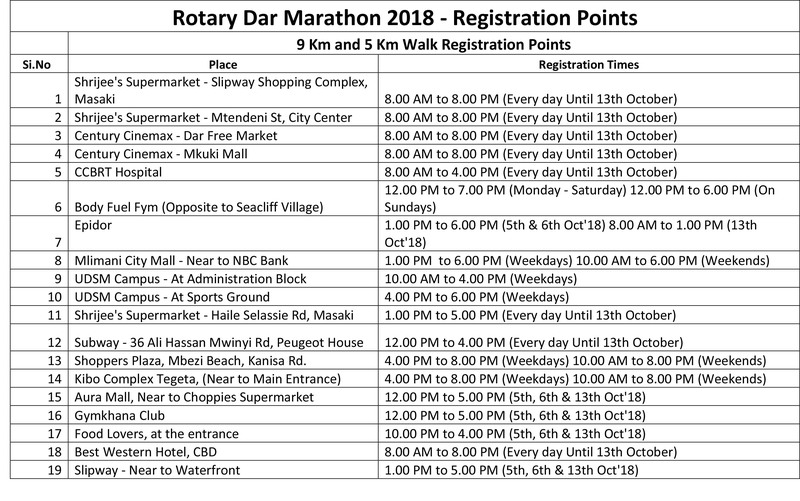 Akizungumza katika mkutano na waandishi wa habari hapo jana jijini, Mwenyekiti wa kamati ya maadalizi ya Rotary Dar Marathon Bi. 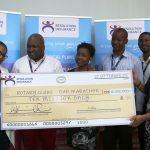 Catherinerose Barretto alisema “tunayo furaha kuzindua na kusaini mkataba wa kushirikiana na Benki M kama mdhamini mkuu katika matembezi ya mwaka huu. 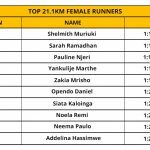 Mbio na matembezi ya rotary Dar Marathon pamoja na kuwa na lengo la kuchangisha fedha kwa ajili ya shughuli mabalimabali za kijamii, pia yamekuwa yakiboreshwa kila mwaka na kuvutia washiriki wengi wakiwemo wa kimataifa. 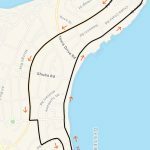 “kila mwaka tumekuwa tukiongeza vivutio katika matembezi haya. 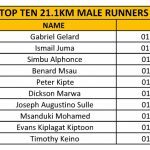 Mwaka huu tutakuwa na marathon nzima tofauti na miaka iliyopita ambapo illikuwa ni nusu marathon”, aliendelea Barretto Mwaka huu, mbio na matembezi hayo yatalenga katika kuchangisha fedha kwa ajili ya ujenziwa kituo cha afya katika hospitali ya CCBRT ambayo huhudumia wananchi wenye matatizo mbalimabali ya ylemavu ili kuwezesha hospitali hiyo kutoa huduma kwa wananchi wengi zaidi. 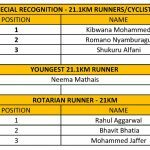 Akiongelea mipango ya wanachama wa Rotary katika kuwezesha huduma bora za afya, mwenyekiti wa bodi ya Rotary Dar Marathon Bi. 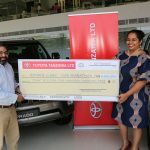 Sharmila Bhatt amesema kuwa kwa kipindi cha miaka miwili mfululizo wamekuwa wakichangisha fedha kwa ajili ya kusaidia sekta ya afya na hatimaye wamefanikiwa kupata mradi ambao una manufaa zaidi kwa jamii hivyo fedha hizo zote zitaelekezwa katika mradi huu. “Tunayo furaha kuwa sehemu ya mradi huu ulioanzishwa na CCBRT wenye lengo la kuongeza huduma zilizo bora kwa watu wenye ulemavu mbalilmbali. 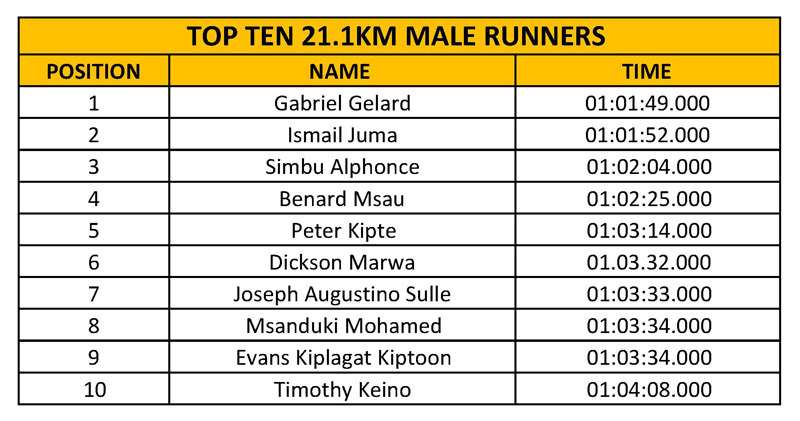 Akichangia juu ya ushiriki wa Benki m katika mbio na matembezi haya, mkurugenzi mkuu wa benki hiyo Bi. 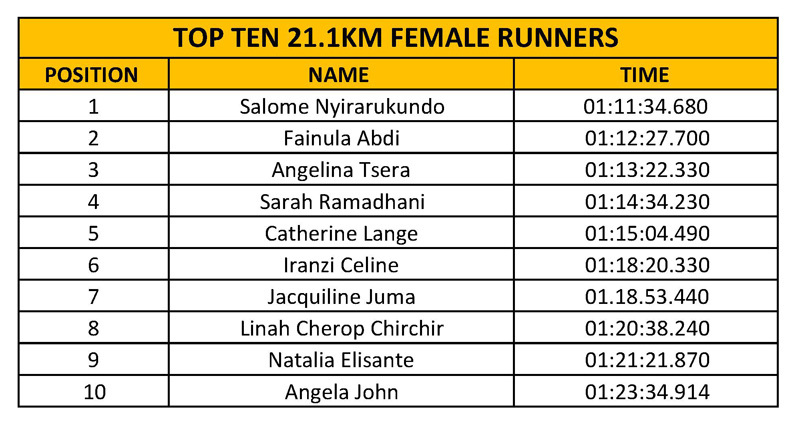 Jacqueline Woiso alisema kuwa wamekuwa wakishiriki katika shughuli mbalimbali maendeleo ya jamii, hivyo wamekuwa wakishirikiana na Rotary katika Rotary Dar marathon toka ilipoanzishwa mwaka 2009. Aliongeza kuwa “tunasisistiza kuwa ni sera yetu kushirikiana na taasisi mbalimbali zinazoheshimika katika kuleta mageuzi kwa wahitaji hapa nehini, tunaamini kabisa kuwa kwa pamoja tukishirikiana tutafanikisha ujenzi wa kituo hiki cha afya hapo CCBRT. 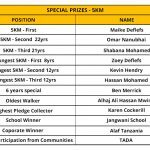 Hii ina maana kubwa sana kwetu kuiona sekta ya afya katika jamii yetu inapewa kipaumbele, tunaamini kuwa kuweka nguvu zaidi katika sekta ya afya ni msaada wa moja kwa moja kwa jamiii ukuaji wa uchumi kwa ujumla”. 17th May 2017, Dar es Salaam: Rotary Tanzania has today signed a Memorandum of Understanding with Comprehensive Community Based Rehabilitation (CCBRT) where by Rotary is pledging funds to support the construction of CCBRT’s new clinic to provide appointment based, private eye, orthopaedic and ear, nose and throat (ENT), physiotherapy as well as imaging services. 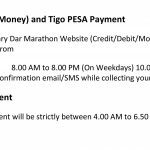 Rotary Dar Marathon in Partnership with Bank M will support CCBRT by contributing funds amounting to USD 1.5M over a period of 2017-2019. 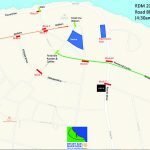 The grant is in in support of CCBRT’s social enterprise project, which aims to expand revenues to be able to support subsidised care in the Disability Hospital. Funds will be used to complete construction of the Clinic, which will open in February 2018, and support the equipping and outfitting of the facility. 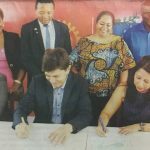 Rotary always aspires to serve the community by investing in areas where the most good can be achieved and through this project CCBRT will be able to continue offering affordable disability care to more people who cannot afford to pay for services from profits attained through the new private clinic. 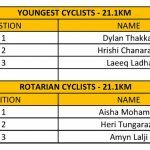 There are 36 active Rotary Clubs in Tanzania, seven of which are based in Dar es Salaam which are Rotary Club of Dar es Salaam, Rotary Club of Bahari Dar es Salaam, Rotary Club of Oysterbay Dar es Salaam, Rotary Club of Dar es Salaam North, Rotary Club of Dar es Salaam Mzizima , Rotary Club of Mikocheni and Rotary club of Mlimani. Comprehensive Community Based Rehabilitation in Tanzania (CCBRT) is a locally registered nongovernmental organisation established in 1994. From its inception as a provider of Community Based Rehabilitation (CBR), CCBRT has grown to become the largest provider of disability and rehabilitation services in the country. Immediate impact is achieved through the provision of services and capacity building and a wider long term impact is seen through the strengthening of referral systems, health education and the inclusion of disability into mainstream services. 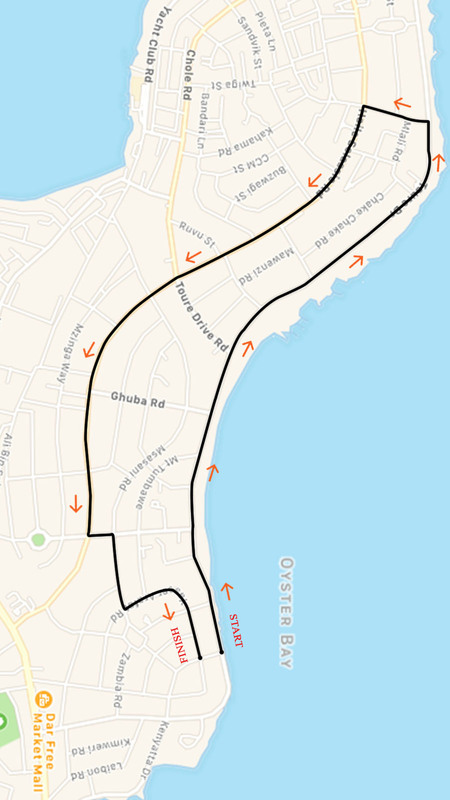 CCBRT is comprised of a well-established disability hospital in Dar es Salaam, community programmes in and around Dar es Salaam and Moshi, a training unit and an advocacy unit. 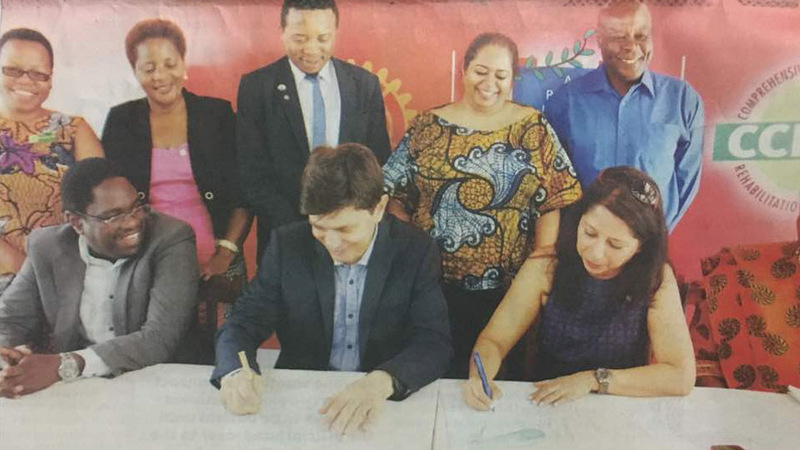 In a public-private partnership with the Government of Tanzania, CCBRT is also in the process of establishing the CCBRT Maternity and Newborn Hospital which will be a referral hospital for high risk cases in the region. 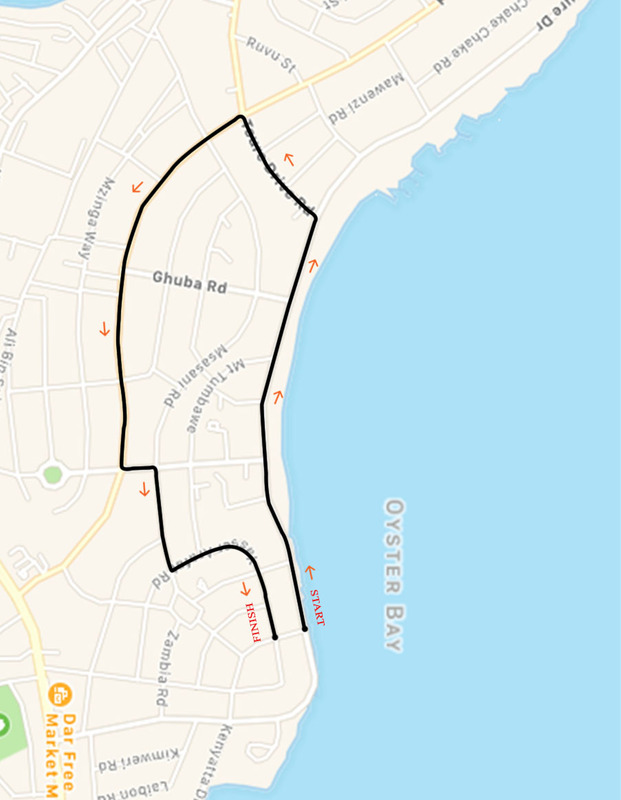 Together the Maternity and Newborn Hospital and the existing Disability Hospital form the Super Specialist Hospital for the Eastern Zone of Tanzania. CCBRT’s vision is a Tanzania where people have access to quality disability services as well as safe maternal and newborn healthcare. 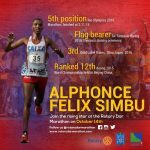 Run with Alphonse Felix Simbu! 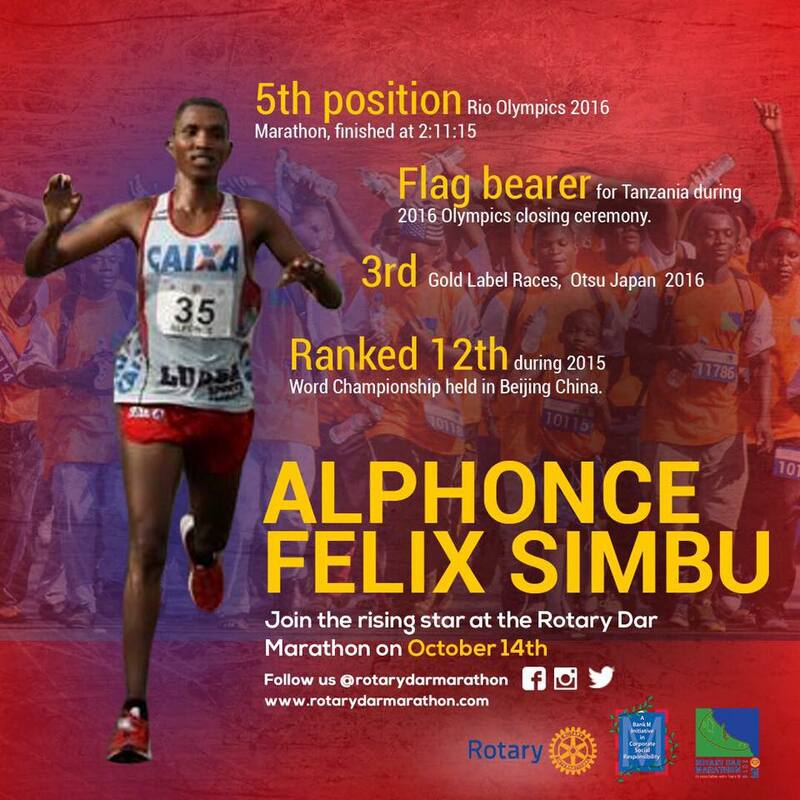 Catch Tanzania’s Alphonce Felix Simbu (recently finished 5th at the Rio Olympics in 2016) at the Rotary Dar Marathon!